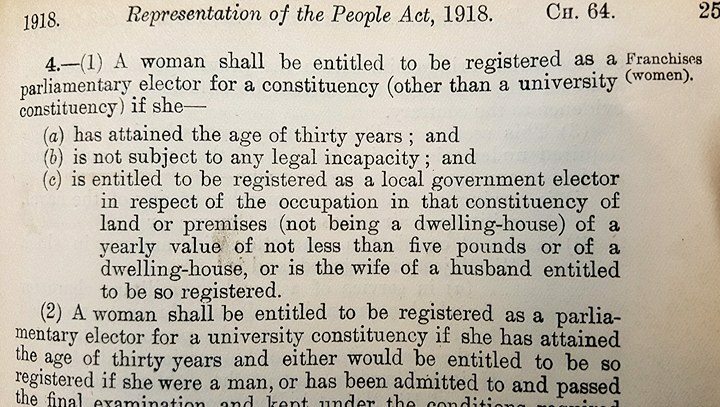 The Representation of the People Act 1918 came into law a century ago today (6th February) and gave to some women the right to vote. The legislation came about after a lengthy and difficult political struggle and the contribution of women to the war effort during World War I played a major part. The struggle and the campaigns by Suffragists and Suffragettes are well-described by Parliament - Women and the Vote. and also by HerStoria - An overview of the Votes for Women campaign. A Speaker's Conference on Electoral Reform was set up in 1916 under Speaker James Lowther. Details of the Conference may be see via this link to Parliament's website. Interestingly, proportional representation was also considered by the Conference - see this debate of 13th May 1918 where Mr Herbert Fisher MP said - "It is proposed that proportional representation shall be applied in eleven Parliamentary boroughs and six Parliamentary counties, and that ninety-nine members in all shall be returned under this system to Parliament. In other words, we are invited to approve of a modest and limited experiment in proportional representation. Your Conference, Mr. Speaker, had proposed that something like 190 seats should be distributed upon this system. 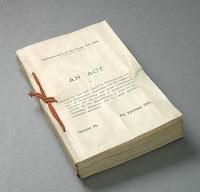 The present proposal extends to only about half that number ...."
The 1918 Act was far from achieving a vote for every woman. 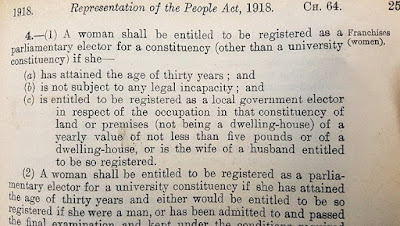 The Act widened suffrage by abolishing almost all property qualifications for men and by enfranchising women over 30 who met minimum property qualifications. The Act also instituted the present system of holding general elections on one day, and brought in the annual electoral register. These changes saw the size of the electorate triple from 7.7 million to 21.4 million. Women now accounted for about 43% of the electorate. However, women were still not politically equal to men, as men could vote from the age of 21. The age 30 requirement was to ensure women did not become the majority of the electorate. If women had been enfranchised based upon the same requirements as men, they would have been in the majority, due to the loss of men in the war. It was not until the Representation of the People (Equal Franchise) Act 1928 that suffrage was widened by giving women electoral equality with men. It gave the vote to all women over 21 years old, regardless of property ownership. A voting age of 18 was introduced in 1969. Today there are political pressures to permit voting at age 16. A voting age of 16 was permitted for the 2014 Scottish Independence referendum and is permitted in Scotland for Scottish elections - see the Scottish Elections (Reduction in Voting Age) Act 2015. 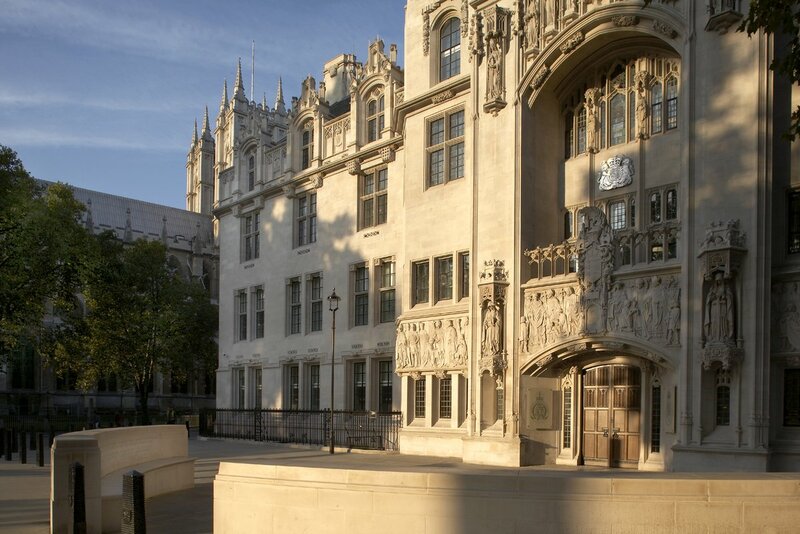 An online course is available and is intended for anyone with an interest in nineteenth or twentieth century history, the women’s suffrage campaign or the history of women’s rights. It does not require any reading before you start or previous experience of studying the subject. The course is entitled "Beyond the Ballot: Women's Rights and Suffrage from 1866 to Today" and is available from Royal Holloway, University of London via this link.